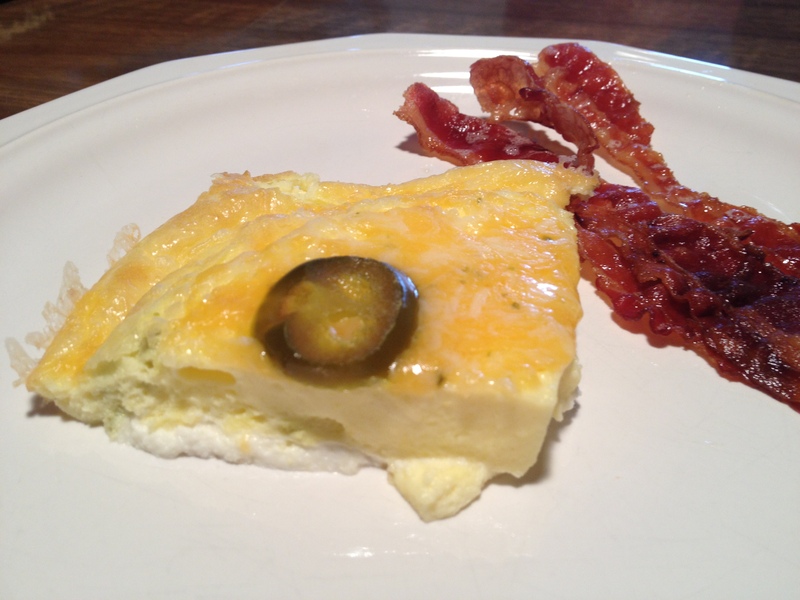 Low carb and keto jalapeno popper quiche – cream cheese and jalapenos never tasted so good! I adapted this recipe from the Closet Cooking website to reduce the amount of carbs. Who needs crust? It was a flavorful and delicious start to the day – and I have leftovers so I don’t have to make breakfast tomorrow. The first time I made this, I didn’t have a glass pie plate , so I used an oblong glass oven-safe dish. It yielded about 8 semi-flat servings. I found my grandma’s round dish, and it turned out thicker and more like a quiche (it almost spilled over the top – so be careful0. Either pan works well, but you need to cook it a bit longer in a smaller pan because it takes longer to solidify the egg in the center. I don’t miss the crust. Total carbs for whole pan = approximately 14 grams. There are only 1.7 grams of carbs per serving! Believe me, you’ll have at least 2 plates. I was craving a BLT. 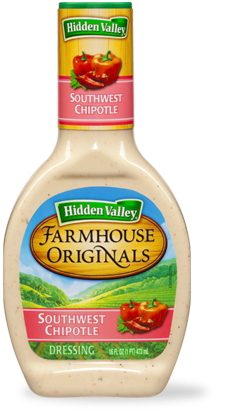 I decided to recreate the sandwich without bread by eating it from a bowl, with mayo drizzled on top. However, the recipe changed as I started to experiment. First, I microwaved some of that ready-in-a-minute bacon. I like it crisp, so I overcooked it a bit. Then I tossed some mixed greens in a medium-sized bowl, chopped up one slice of tomato (go lightly; there are a few carbs), and threw in the bacon. Hmmmm. What if I put it in 1/2 a low-carb pita bread? 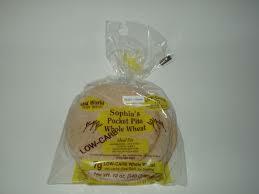 I use Sophia’s whole wheat pocket pita. One pita is 7g, and I usually only use half. 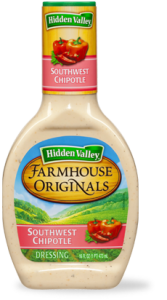 I stuffed the mix inside the pita, and went to the fridge for some mayo…where I discovered a new dressing we love: Hidden Valley Farmhouse Southwest Chipotle. This is my all-time favorite crust. The cream cheese gives it a great flavor. It’s a very thin crust, but it’s the best one I’ve found on the keto diet. I’d love to give credit to the creator, but it was one of those low-carb recipes passed around on Facebook. 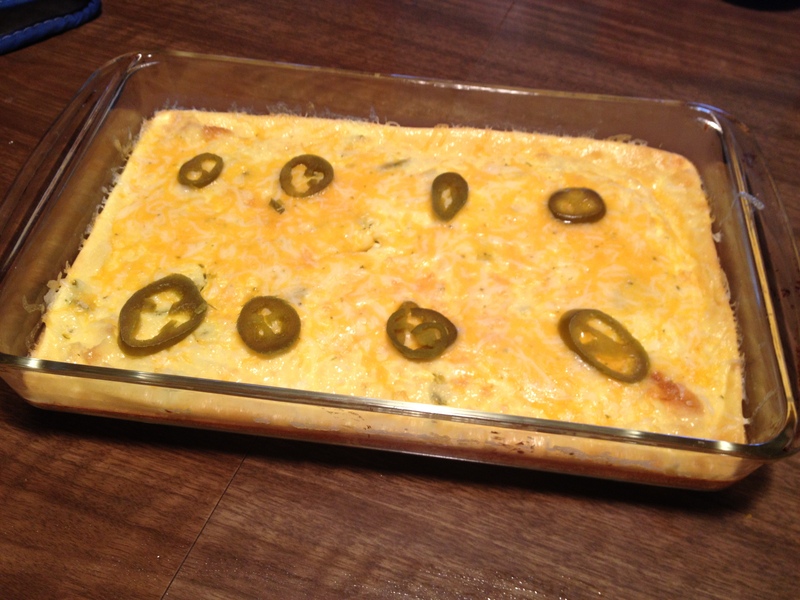 Lightly spay a 9×13 baking dish with cooking spray. 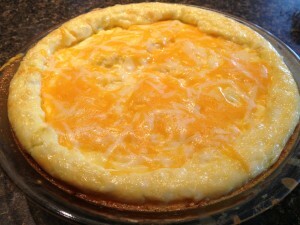 With a handheld mixer, mix cream cheese, eggs, pepper, garlic powder and parmesan cheese until combined. Spread into baking dish. Bake for 15-20 minutes, our until golden brown. Allow crust to cool for 10 minutes. 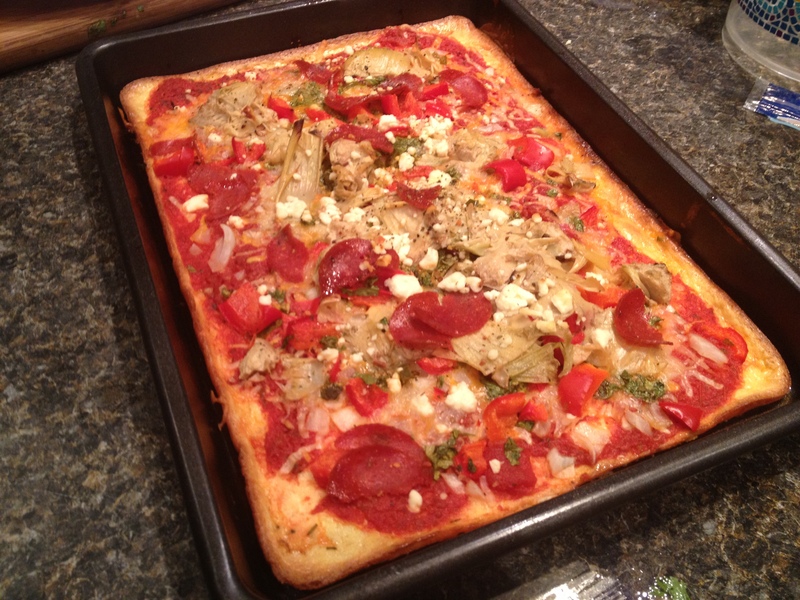 Top with low-carb pizza sauce (or enchilada sauce) and toppings. Bake 12-15 minutes, until cheese is melted.